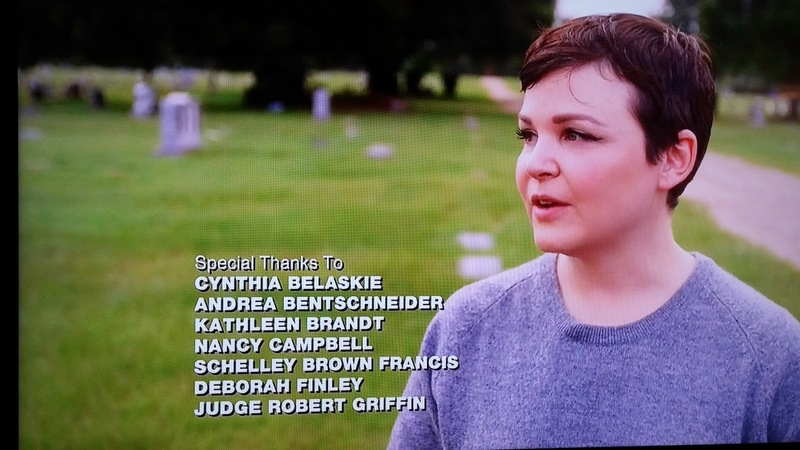 aired TLC, 26 Jul 2015. To review the Military History in Alaska, 1867-2000 visit the Joint Base Timeline. 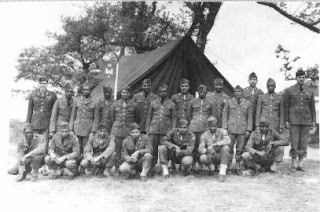 Many know about the Buffalo Soldiers and Tuskegee Airmen, but few remember the African American Tuskegee (Alaska – Canada) Alcan Highway contributions during WWII. Be sure to read the history on American Experience. The completion of the Sikanni Chief River Bridge in Oct 1942 is credited as ending segregation, after a long fight, of the U. S. Military in 1948. By 1994, over 1500 Native American women and Native Alaskan women served in the military. At least 60 Native American women served in the Eskimo Scouts before 1980. According to a 2013 Alaska Business article Ceremony Honoring Alaska’s Women Veterans at State Capitol over 8500 female veterans live in Alaska. Be sure to read Native American Women Veterans. 1. Alaska History and Cultural Studies provides an overview of the importance of military forces in Alaska. 2. Federal Records may be located at the National Archives - Pacific Alaska Northwest Region in Seattle, WA. 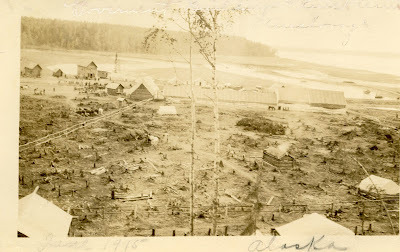 This collection holds Alaska Military Post Returns (1867 – 1916) and is a great resource for officer research, as well as reviewing unit events. WWI Selective Service System Draft Records, 1917-1918. 3. With Alaska having such a reputation for WWII, many researchers fail to review the Alaska WWI Selective Service System Draft Records, 1917-1918. 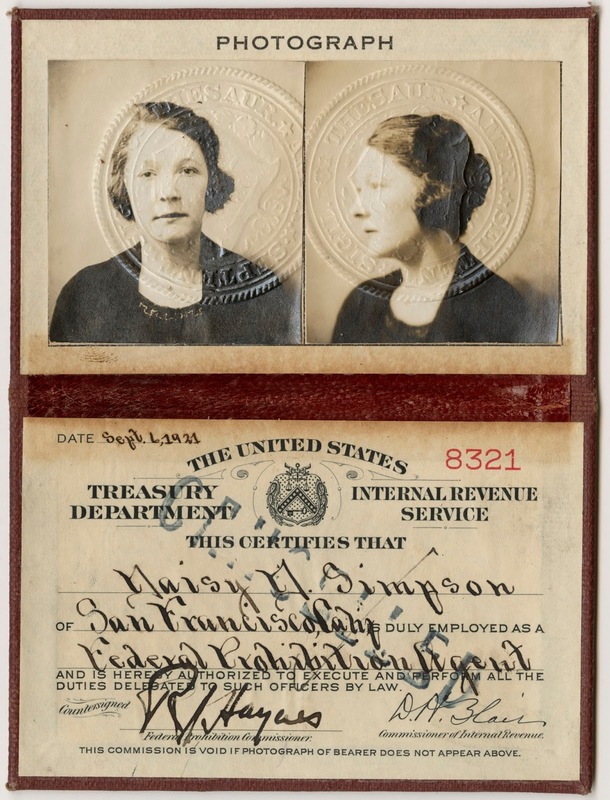 Over 16 thousand WWI draft registration cards can be located on the FamilySearch website. 4. WWI Service Personnel Information 1923 lists WWI soldiers, residence, branch of service, enlistment and discharge dates, and more for the Territory. 5. Alaskans Military Deaths compilation provides death dates and cause of death along with branch and additional military information of service personnel. 6. Fort Richardson Cemetery archives in Anchorage, holds information on WWII military burial records. Although many veterans were re-interred in their home cemetery, many remained at the Ft. Richardson Cemetery. Read history of National Cemetery of Ft. Richardson. For a listing of Veteran Administration (VA) recorded burials visit the Interment.net Ft. Richardson website or Find-A-Grave (6678 names provided). 7. Sitka National Cemetery, 1868-1870 established in Sitka, AK is administered by Ft. Richardson National Cemetery. 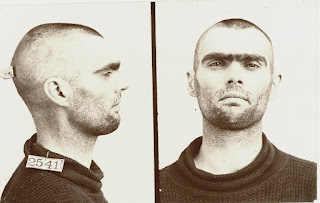 Review VA burial records at Interment.net for Sitka National Cemetery. or Find-A-Grave.com (1317 names provided). 8. The Alaska Veterans Museum, located in downtown Anchorage, opened April 2011. Read news article: Veteran Musuem Opens Downtown. Visit the Alaska Veterans Museum website for their oral history collection, documentaries, and other military artifacts. Looking for Native American Veteran Research? 9. 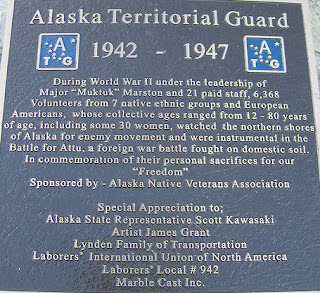 Researchers of Alaskan Native Americans must not bypass information on the WWII (1942 – 1947) military reserve force Alaska Territorial Guard (ATG), often referred to as the “Eskimo Scouts.” Begin research efforts by reviewing Office of Veterans Affairs ATG. An ATG roster may be found here. 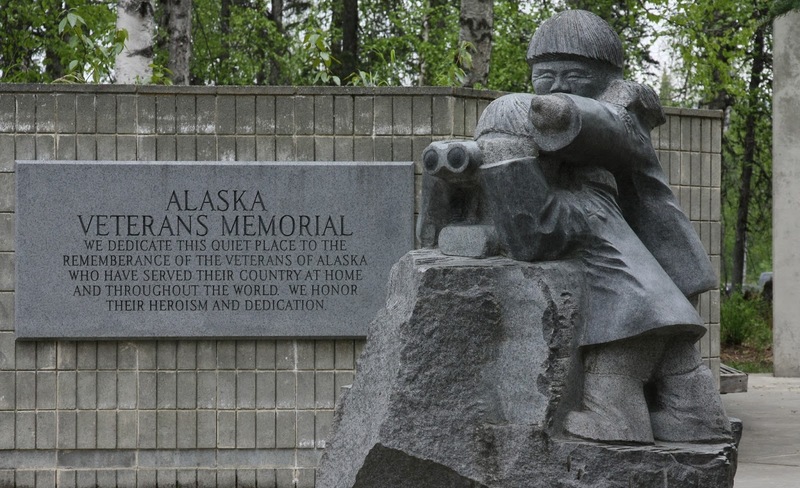 Be sure to visit Searching for Veterans on Alaska’s Remote Edges. 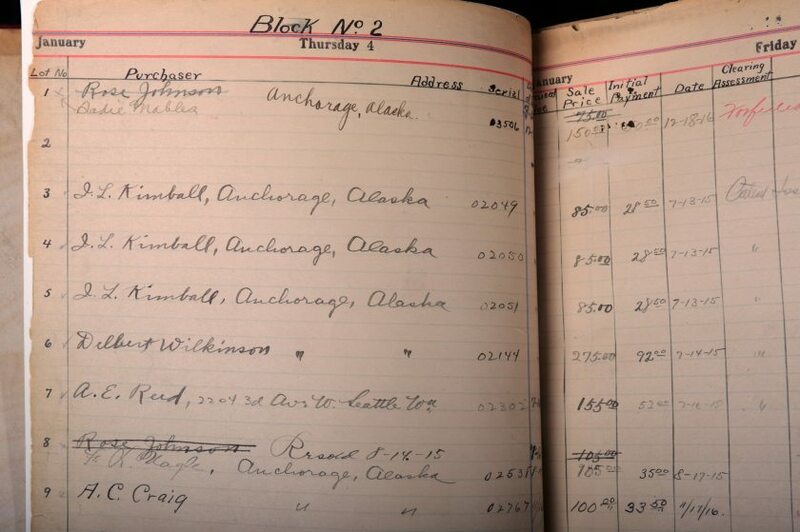 If you have ever attempted research on that adventurous ancestor who headed for Alaska, you have probably found a shortage of records. But this is one region that you must periodically revisit to uncover newly found records. Alaska seems to be late bloomers in jumping on the genealogy train, but it is chug-chug-chugging along now. And, with Anchorage celebrating their centennial, my recent visit (Jun 2015) introduced us to some new finds that helped meet research goals. Celebrating the Anchorage Centennial has forced many to take a strong look at the history of this “tent city” which exploded in 1915 thanks to the commitment to building the Alaskan railroad. Know that the city was not incorporated until 1920. Bureau of Land Management, General Land Office Records: this resource will confirm the land patent of your ancestor. And, don’t forget in Anchorage the town was settled in 1915, but most land patents were about 1921. These records were vital in a study of the expansion of the Russian Greek (Eastern Catholic) Orthodox Church. For more information on the Russian Church and native Alaskan Culture visit the Library of Congress website. Although an image is not online, we were able to confirm the 1964 Alaska homestead of Mahala Ashley Dickerson, the “first black female attorney of Alabama” who homesteaded and practiced law in Alaska. For more information on M. Ashley Dickerson, read her autobiography Delayed Justice For Sale. Side Note: Many overlook the ex-slave and free-coloreds that settled in Alaska before the turn of the century. 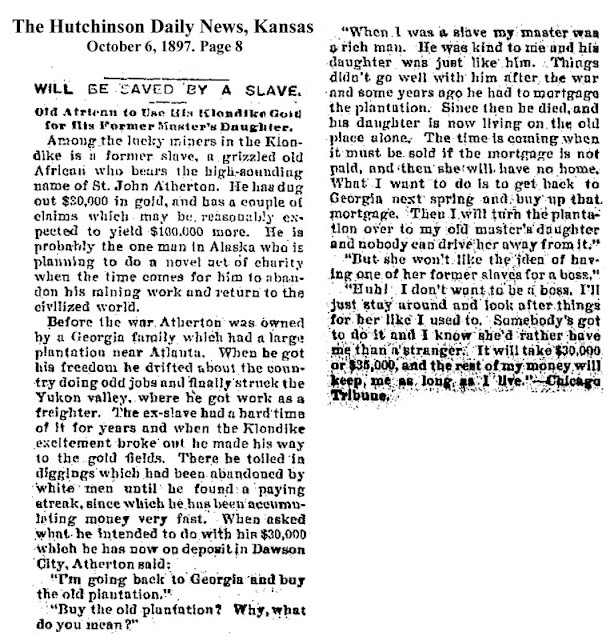 Here is an 1897 account of an ex-slave who made a handsome amount panning in the Klondike. He was returning to Georgia to save his late slavemaster's daughter. Consortium Library’s Archives and Special Collections: the University of Alaska Anchorage houses Alaska’s Archives and Special Collections. This holding includes historical manuscripts, photographs, audio, books, and exhibits. One of the favorites is George Harper’s Black in Alaska Exhibit, which included “Blacks in the Gold Rush.” For more information on Blacks in Alaska visit the Guide to George Harper’s Blacks in Alaska History Project. Cook Inlet Historical Society: a great place to start if your ancestor settled in Anchorage in the “early 20th Century.” Search the database list for Anchorage 1910-1935 Legends & Legacies for your ancestor’s name, or contribute facts on your ancestor for inclusion. Some settlers came for the gold rush, others for the Alaskan railroad. We also see Natives Americans who chose to settle in Anchorage, miles away from their home community. 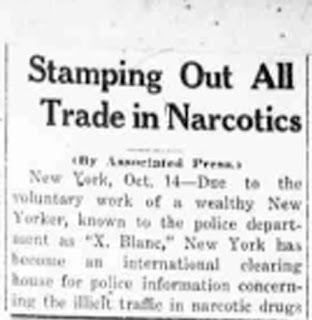 We suggest the sources of the stories be confirmed, as some may be of undocumented oral history. There are so many other outstanding places to research in Anchorage (and other cities in Alaska). Before visiting Anchorage, be sure to visit the Familysearch website. We have found the Probate Collection to be a key to unlocking that adventurous ancestor. If you are looking for the best Photograph Collection, visit the Anchorage Museum at Rasmuson Center. This collections houses more than a half a million photographs. Be sure to review the Collection Guides. Where to Start in Vancouver, British Columbia? Many a3Genealogy clients are seeking their American born ancestors that settled in Canada, or their immigrant ancestors who travelled through Canada to settle in the USA. Either way, don’t forget the upper northwest early records to include Vancouver Canada. 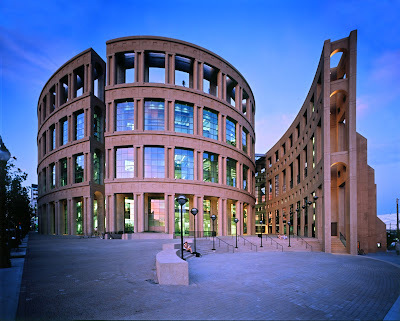 If you doubt if researching ancestral histories from British Columbia can yield positive results, look no further than the Vancouver Public Library. 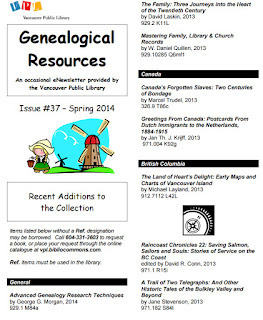 The periodic newsletters found on the website will give you a glimpse of the activities, efforts, and events to assist researchers in their genealogy pursuit. British Columbia Archives at the Royal BC Museum website has indexed births (1854-1930; deaths 1872 – 1993, colonial marriages (1859-1872 and baptisms (1836-1888). 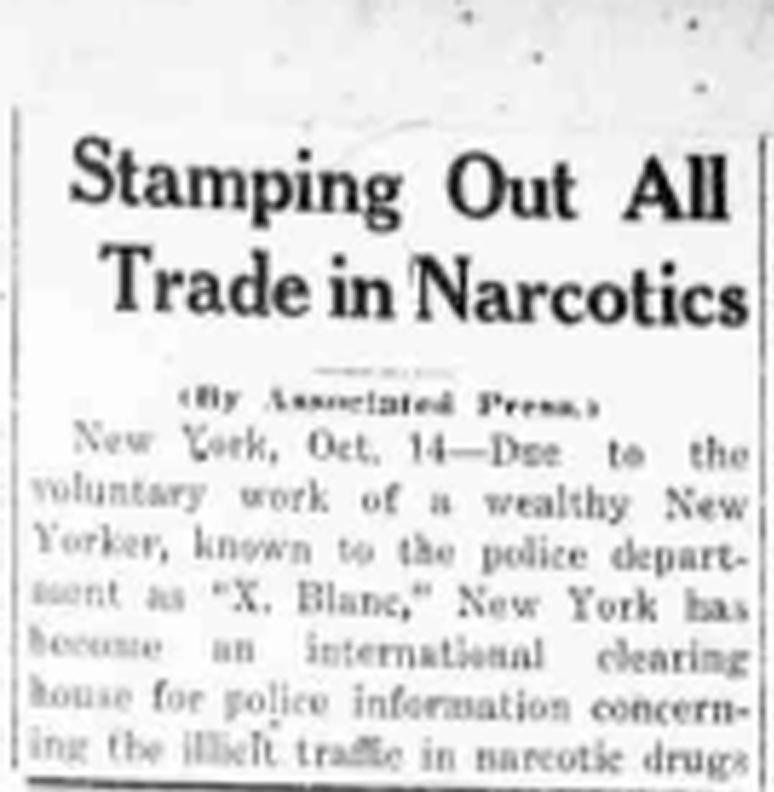 Additional Newspaper Birth, Marriage and Death Indexes, 1911-190 may be found on ancestry.com. 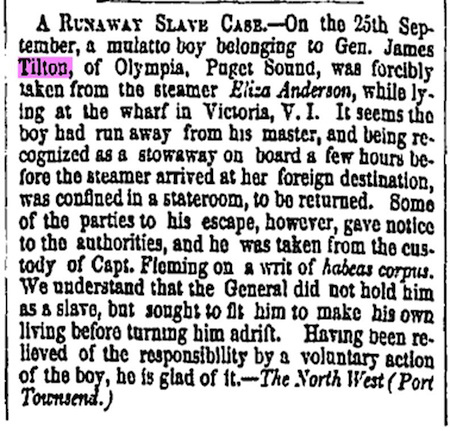 Genealogical Extracts from BC Newspapers, 1861-1875. 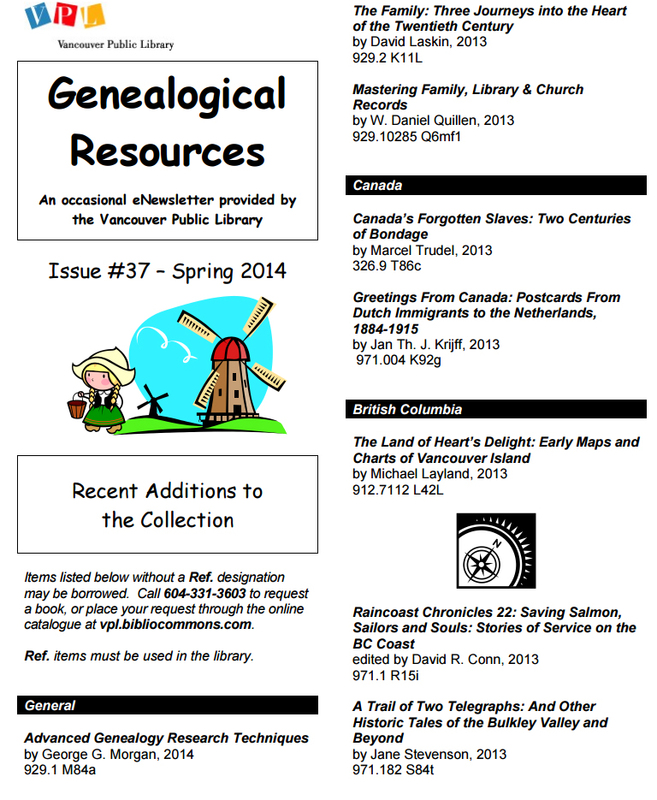 British Columbia Genealogy Records Online include an abundance of links. For example, Sessional Papers of the Government of British Columbia, provide estate information. Extracts may be found on Roots Web as is for 1861-1863. 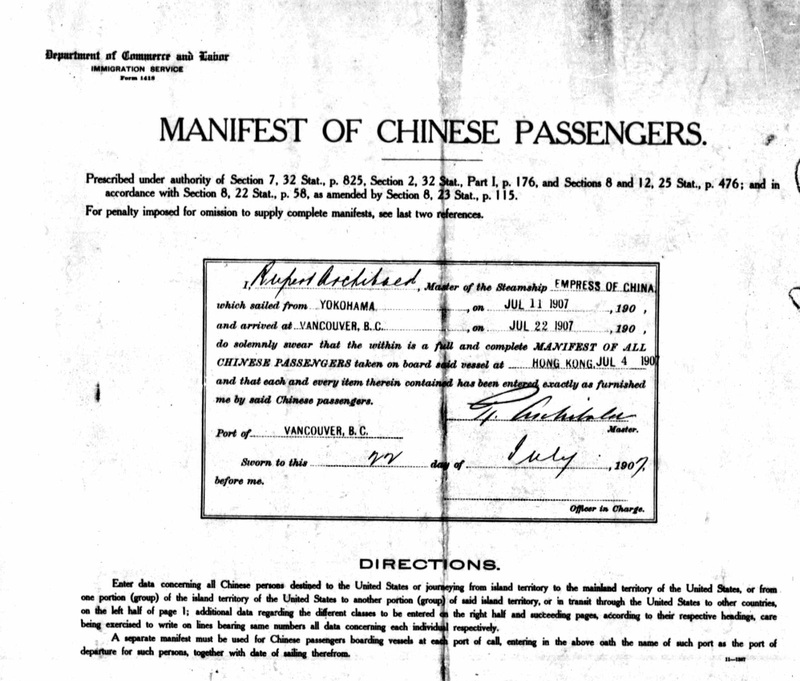 Vancouver, British Columbia Passenger Lists records Chinese Arrivals, 1906-1912 and 1929-1941 on ancestry.com. 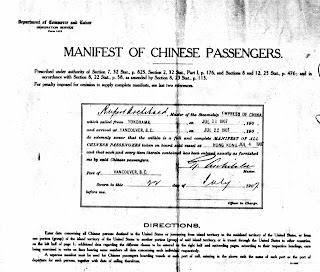 Remember your ancestor may not have travelled directly from Asia to United States. We were able to uncover a listing of Hong Kong born immigrants passing through Vancouver with their final destination as Chicago. Many researchers looking for their African American ancestors fail to realize that in the1850’s, about 800 free African Americans migrated from California to Vancouver. These free coloreds were active in assisting ex-slave escapes. One story well documented is Free Boy: A True Story of Slave and Master by Lorraine McConaghy. The underground railroad does not commonly include the upper north west of the USA or Vancouver. 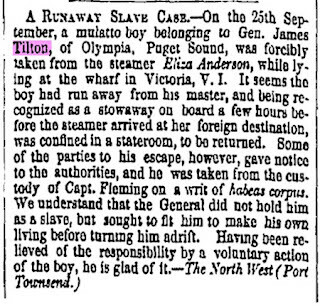 However, there are newspaper accounts of escapes from slavery with the assistance of free-colored settlements in Vancouver. By the Civil War approximately thirty thousand runaway slaves found refuge in Canada. Many returned to the USA after the Civil War. Review: Black Canadians on the Historica Canada website.